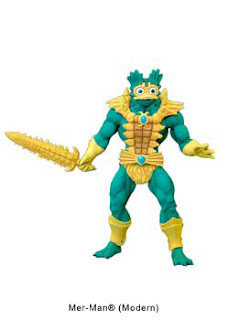 Squish Rex, ruler of the undersea realms of Eternia, Mer-Man was forced to serve in the armies of Skeletor after his kingdom was destroyed in a battle with rival ocean clans. 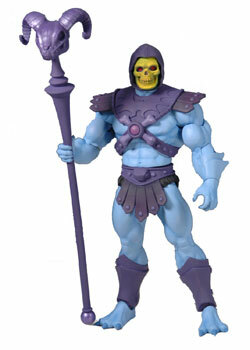 His allegiance with Skeletor brings him to the surface world more often then he would like. Cowardly on land, Mer-Man prefers to stay in the murky waters of the Sea of Rakash, awaiting the evil call of Skeletor. Combat: Mer-man is a leader and tenacious fighter. Sword of Rakash: He has one random cypher. Trident: He can inflict 2 damage to all enemies within immediate range. Use: Mer-Man is scouting a river the characters are camped next to, and notices some their cyphers. Loot: A defeated Mer-Man yields 1 cypher.